My introduction to this blog is just this. 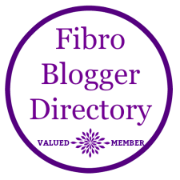 I am a woman with Fibromyalgia and I will tell you what day to day life is like for me. I am not looking for sympathy I just need to write things down to get them out of my system so I am not unloading on my family.